The Coarse Brilliant Cut Grinder is designed to grind your herb in the gentlest way possible. This ensures that your herb retains its taste and smell. 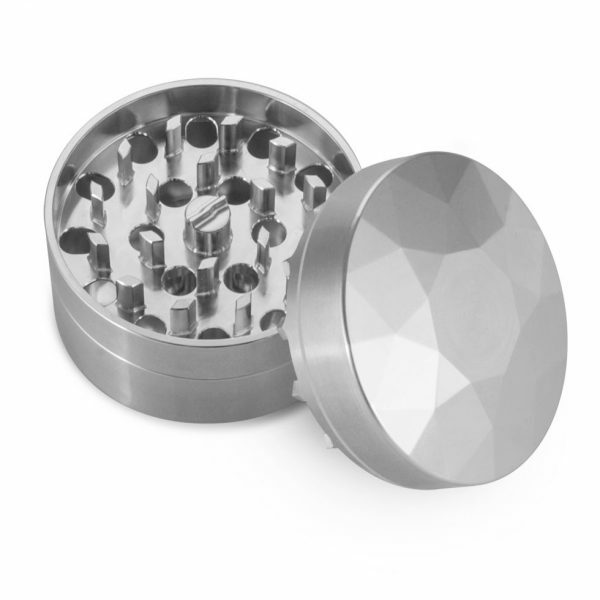 It produces a uniform, fluffy, coarse grind that is perfect for burning or vaporizing. Out of the 3 available grinders, the coarse requires the least amount of force to use, is the gentlest your herbs and grinds the fastest.